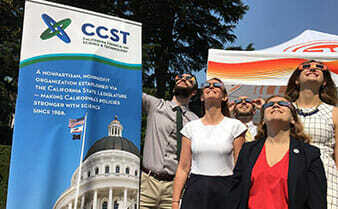 CCST is excited to seek scientists and engineers in training for the CCST Climate Science Translators Showcase, held in conjunction with the Global Climate Action Summit hosted by Governor Jerry Brown in San Francisco in September 2018. The invited presenters will partake in an evening of science policy engagement with distinguished global guests attending the Science to Action gala event of the Global Climate Action Summit. These “Climate Science Translators” will get to practice their budding craft for communicating science in a conversational, open-networking setting during the gala. The goal of this experience is to improve a trainee’s skill and savvy in conveying the relevance of their research to an audience of senior researchers, leaders, and policymakers — offering impartial, nonpartisan science advice while proudly representing their home campus. 1. You must be a current Master’s or PhD student or postdoc at a public or private university located in California. Graduate students and postdocs at NASA and U.S. Department of Energy laboratories in California are also eligible. Early-career faculty (within three years of first hire) from California Community Colleges are also invited to apply. 2. You must be available to travel to and be present in San Francisco on Tuesday, September 11th, 2018. Chosen presenters will receive reimbursement for mileage or airfare and ground transportation, with option for lodging. You must also commit to three separate training webinars ahead of the event (tentatively scheduled August 10th, 17th, and 24th at noon PDT). 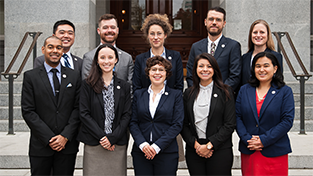 CCST debuted its “Science Translators Showcase” event series in February 2018 at the California State Capitol during CCST Science & Technology Week — where 15 graduate students and postdocs from California campuses networked with legislators and staffers for an afternoon session, discussing topics spanning biomedicine, wildfires, earthquake hazards, and surface physics. CCST hosted the inaugural California Science Translators Showcase on Tuesday, February 20, 2018 in the Eureka Room in the California State Captiol. 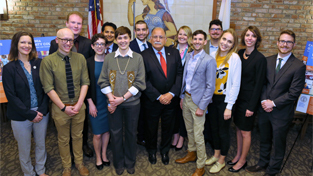 Organized with the support of Assemblymember Jose Medina (D-Riverside), the program recruited and trained 15 graduate students and postdocs from UC, Cal State, Stanford, and Caltech campus to communicate their research to state policymakers and staff. As part of the CCST Science Translators Showcase, presenters had to come up with slogans and taglines explaining their thesis research. 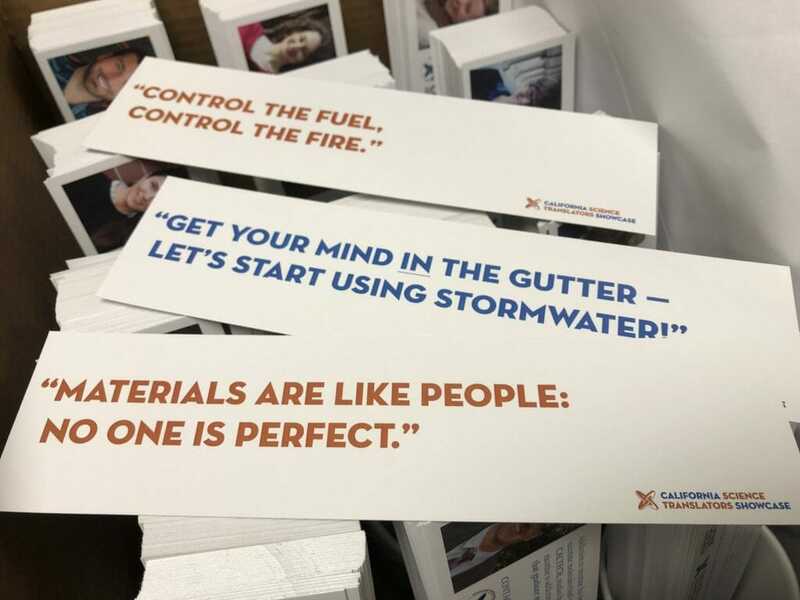 These bookmarks were handed out during the Showcase event as keepsakes and reminders of timely, policy relevant research being conducted at California’s higher education institutions. To keep warming well below 2 degrees C, and ideally 1.5 degrees C — temperatures that could lead to catastrophic consequences — worldwide emissions must start trending down by 2020.